Vorsprung durch Technik philosophy by way of an innovative new combustion method, and will be entered into service in the all-new A4 later in 2015. "We're now taking a crucial step further with rightsizing," said Prof. Dr. Ulrich Hackenberg, Member of the Board of Management for Technical Development at Audi AG. The reduction in displacement and engine speed can be optimally effective only if reasonably related to the vehicle class and the customers' everyday use, explains the Technical Director. "Rightsizing thus involves the optimal interplay of vehicle class, displacement, output, torque and efficiency characteristics under everyday conditions. Our new 2.0 TFSI is a prime example of Vorsprung durch Technik." The four-cylinder engine draws 190 ps of power and 320 Nm (236.0 lb-ft) of torque from a displacement of 1,984 cc. Because the high torque is applied in a wide speed range from 1,450 to 4,400 rpm, every customer will benefit from the unit’s strong and constantly accessible pulling power. The engine also outruns its predecessor and its direct competitors in terms of fuel efficiency, with a ground-breaking maximum of in excess of 56 mpg possible according to the NEDC cycle test. 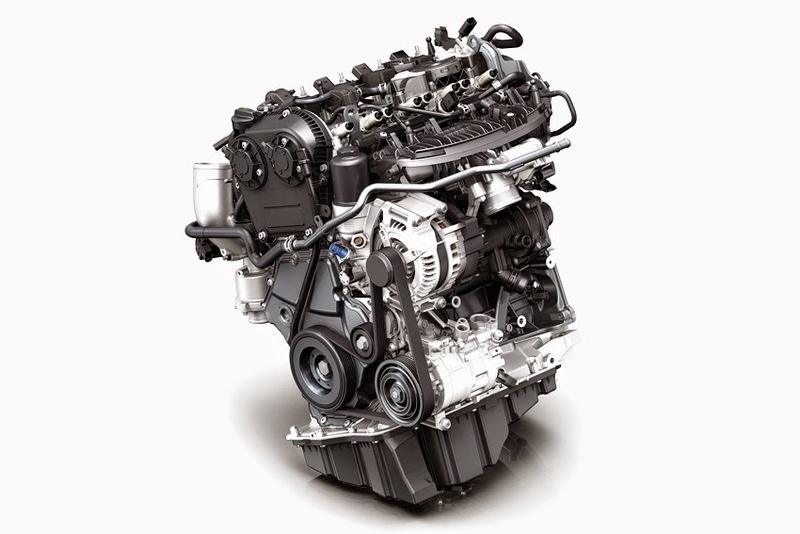 "Thanks to this rightsizing approach, the new engine enjoys the consumption benefits of a downsizing engine in partial load operation, while at higher loads it has the advantages of a large-displacement engine. The result is optimal efficiency and performance characteristics across the entire engine speed range," said Dr. Stefan Knirsch, Head of Engine Development at Audi. Beyond the new combustion method, the new engine, which weighs in at a relatively modest 140 kg, avails itself of other efficiency technologies. For example, the coolant flow is controlled so as to greatly shorten the engine warm-up time. The integration of the exhaust manifold into the cylinder head also brings benefits, as does the use of low-friction engine oil (0W-20). The comprehensive package of high-tech solutions makes the new 2.0 TFSI a real high-efficiency engine that sets a new benchmark in its segment. Audi will be introducing the new generation of engines in the new Audi A4, and then in other model series.